Hello dears! 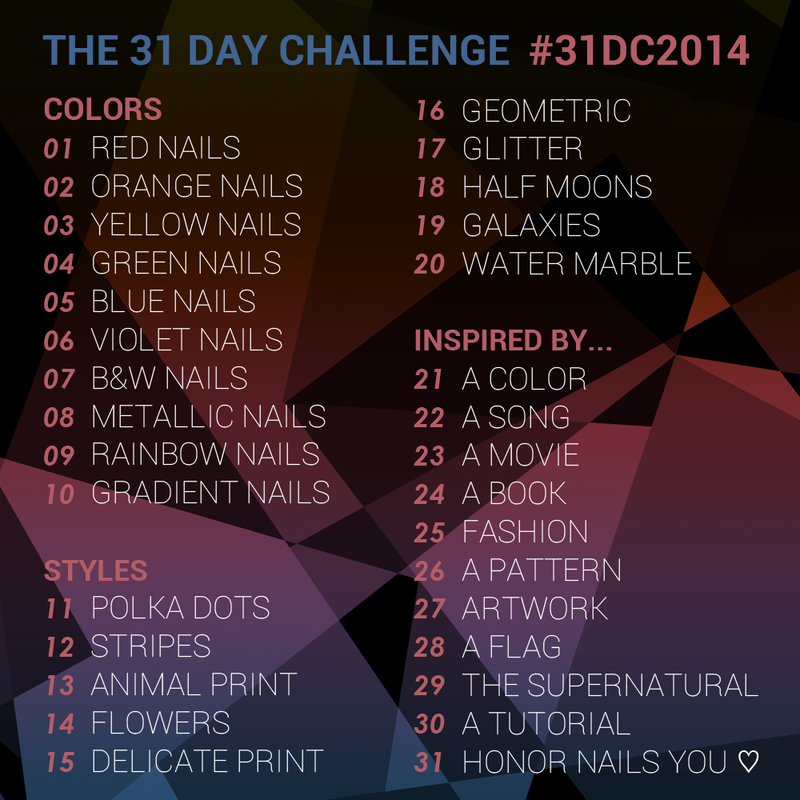 :) For day 12 of the challenge, I have done some textured stripes. I don't want to take them off! The base is this nice coral-orange creme, Call Me Gwen-ever, by OPI. Two smooth, buttery coats covered perfectly. I'm still on the hunt for a perfect coral polish (any suggestions??) but this is one I was happy to add to my collection recently. 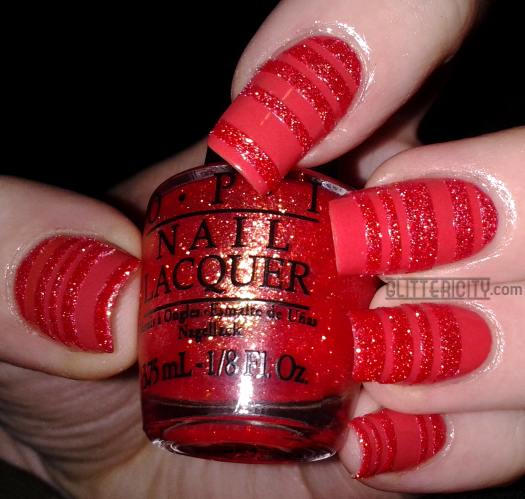 I taped off some stripes of varying sizes with striping tape, and added OPI Jinx, a Liquid Sand textured polish of the same shade. I really love the result! No topcoat, since I wanted to keep the texture of the stripes.